Congress will review the funding request. New York Governor Andrew Cuomo and New Jersey Governor Chris Christie announced on Thursday from Washington that President Obama is asking Congress for over $60 billion dollars in funding for Superstorm Sandy relief for both states. The request still has to get approval from the House and the Senate, and both governors are urging Congress to push it through as quickly as possible. The two governors - along with Connecticut Governor Dan Malloy - had originally asked for about $82 billion in funding, however they are happy to get what they can. “While it doesn’t cover everything we need, it’s a very good percentage. They say half a loaf is better than none. Well, three quarters is better than half,” Senator Chuck Schumer said in a press conference, alongside Governor Cuomo. Cuomo added that if approved, a majority of the money would be used by New York and go towards rebuilding homes, repairing public infrastructure such as roads and tunnels and helping to reimburse local government. Some of the funding would also go towards projects to prevent future devastation caused by storms such as Sandy. Earlier this week, they were hinting that the funding needed would be around $50 billion; however $82 billion is now estimated to be the total cost for New York, New Jersey and Connecticut. Sandy is the costliest storm since Hurricane Katrina hit the Gulf of Mexico in 2005. At least 125 American lives were lost due to the storm. 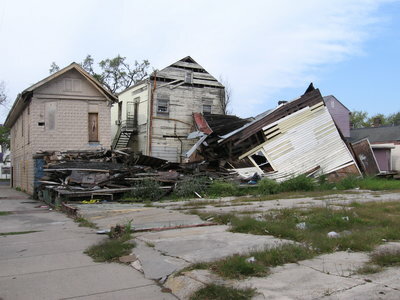 In New York, more than 305,000 homes and 265,000 businesses were destroyed or damaged; while Sandy also destroyed or damaged more than 72,000 homes and businesses in New Jersey. The government has spent a total of about $2 billion so far in Sandy relief on the east coast. The funding request went through on Friday, however it could take longer for Congress to approve it. While lawmakers are saying the funding is necessary, it comes at a time when Republicans and Democrats are squabbling over the fiscal cliff. As tax cuts from the Bush administration expire, this could complicate the process and delay funding for New York and New Jersey. As governors Cuomo, Christie and Malloy urge Congress to approve funding quickly, this could result in major budget cuts in other areas of government spending. Members of Congress said they had the request and are reviewing it, however did not elaborate as to how long it would take. Subject: LongIsland.com - Your Name sent you Article details of "President Obama Asks for $60 Billion in Sandy Relief Funds"